Jason Derulo will perform at University of Lynchburg May 1. The concert is free for LC students; $15 for other college students (if tickets are purchased at the Office of Student Activities); $20 all others. The concert will be in Turner Gymnasium, and doors open at 6 p.m., with the opening act at 7 p.m. and Derulo set for 8 p.m. 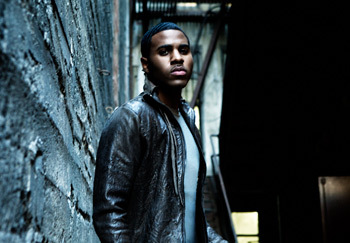 The Miami-born Derulo uses a blend of pop, rock, electronic, and R&B elements. He has had three smash hit singles in the last year, “Whatcha Say,” “In My Head,” and “Ridin’ Solo,” off his self-titled debut album, Jason Derulo, which debuted at No. 4 on the Digital Albums chart and No. 11 on the Billboard Top 200 Album chart in March. With the triple-platinum debut single “Whatcha Say” and the platinum second single “In My Head,” the 20-year-old singer became the first male solo artist to score consecutive No. 1s on Billboard’s Pop Songs radio airplay chart in the chart’s 17-year-history. According to his website, Derulo’s third single “Ridin’ Solo,” has been certified platinum in the U.S., while its accompanying video has earned more than 32 million views on YouTube. Derulo has sold more than 11 million singles and 750,000 albums worldwide and is the first male solo artist in history to have three singles hit the Top 10 on Billboard’s Hot 100 chart. In late January 2010, he wrapped up a six-week stint on the road with Lady Gaga on her sold-out “Monster Ball” tour of North America and made his feature film debut in MTV Films’ Turn the Beat Around in February. He has performed on American Idol, The Tonight Show with Jay Leno, The View, Lopez Tonight, The Teen Choice Awards, America’s Got Talent, Live with Regis and Kelly, Dancing With the Stars, and The Ellen DeGeneres Show. Derulo’s videos have more than 245 million collective views on YouTube, making him the channel’s 20th Most Viewed Musician of all time. Derulo won a 2010 Teen Choice Award for “Choice Music: Album, R&B.” He has also nominated for two 2010 MTV Video Music Awards, for “Best Male Video” and “Best New Artist” for “Ridin’ Solo.” Having completed a Canadian tour with Black Eyed Peas, Derulo hit the road for his first-ever headlining U.S. tour last fall.